Your postcard should have one specific purpose that is valuable to the receiver. Keep your message simple. Less really is more in this case. Your postcard should include one message. Postcards can be used for many purposes, including: reminders, gift certificates, coupons, new product announcements, openings, discounts and even as tickets. Remember postcards work best to generate leads (not close sales). Don’t try to explain everything, and be sure to include multiple ways to contact you. Postcards work well when they cleverly present their message in a unique way. Try to use striking images, graphics or perhaps print on a unique, textured card stock to stand out. Make the most of both sides of the postcard. The non-address side should have the main message. It may help to think of the front as a poster. The address side should include your offer, contact information and other details. Short, bold headlines work best. Avoid jumbled information so the content is easy to skim and read. Keep in mind, oversized cards give you more space to include photos, coupons and even a map to your location. Postcards are great for timely messages, offers with a deadline, or renewal reminders. Encourage quick action. Give customers a good reason to act now; perhaps include a fast action bonus with a deadline. 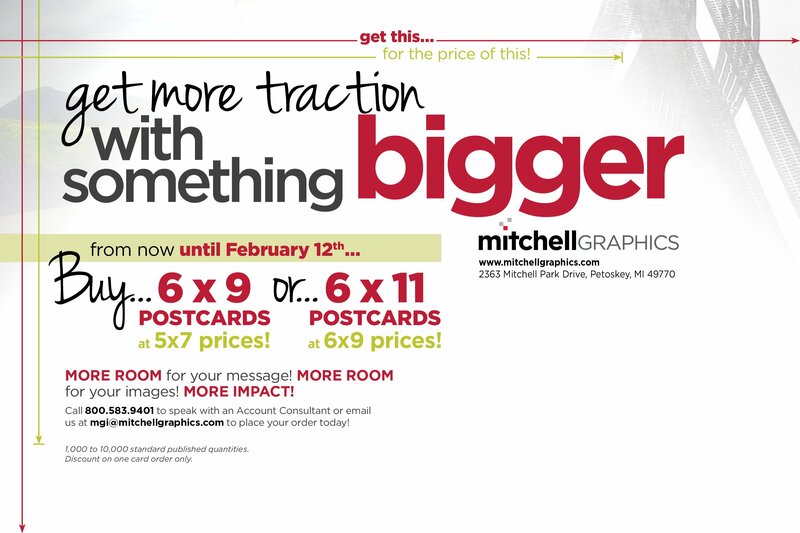 The team at Mitchell Graphics can help you design, print, and mail your company’s postcard. 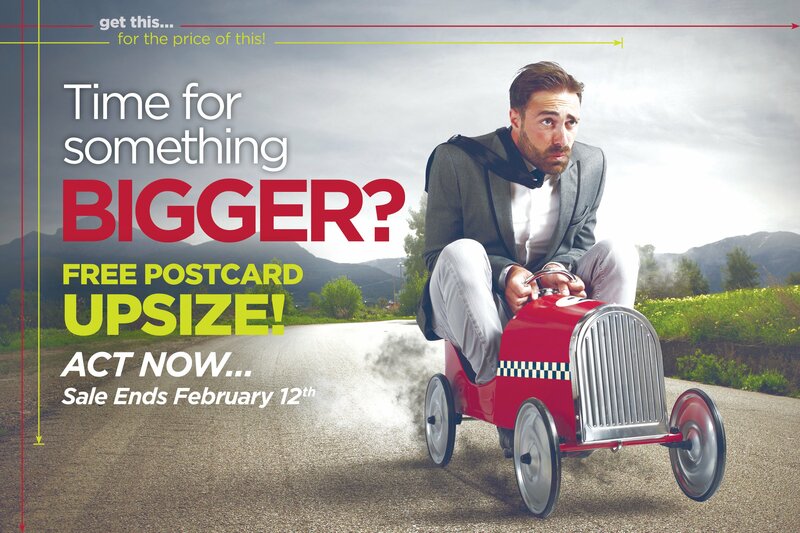 Reach out to one of our account managers today to discuss your postcard campaign. Here is an example of our latest postcard with a special deal for you.